With bold sharp stitching detail and sleek chrome legs the Hit barstool from Avalona exudes contemporary class. The seat pad and back of this wonderfully modern barstool is covered in a high quality faux leather that is both stylish, hardwearing and available in Black or White. 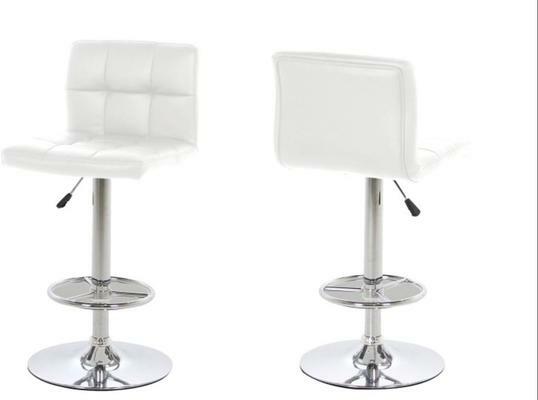 For added comfort and versatility the trumpet style base of the Hot barstool includes both a footrest and a gas lift mechanism which makes for easy height adjustment. To select your desired colour simply use the checkout menu options.